Even though I am pretty sure créme contouring was around long before Kim Kardashian (West), I feel like it became super popular, when she did. I know I ran out and bought every bronzing product known- to- man to recreate that Kim K contour, back in the day. One of the very first videos that I filmed on Youtube was " How to contour like Kim Kardashian" . Although you won't find that on my channel anymore because the quality would be like watching a 1920's commercial ,lol. I decided to spare you, you're welcome!! Anyways, It's funny how things come full circle , Kim's first product launch with her brand KKW Beauty are créme contour and highlighting sticks or "kits". Believe it or not this post has nothing to do with them (Ha.) or Kim Kardashian besides what I've already mentioned and the fact that the kits have sold out twice already! Once in the first day of the initial launch and in then again in the re-launch plus they are around $48. 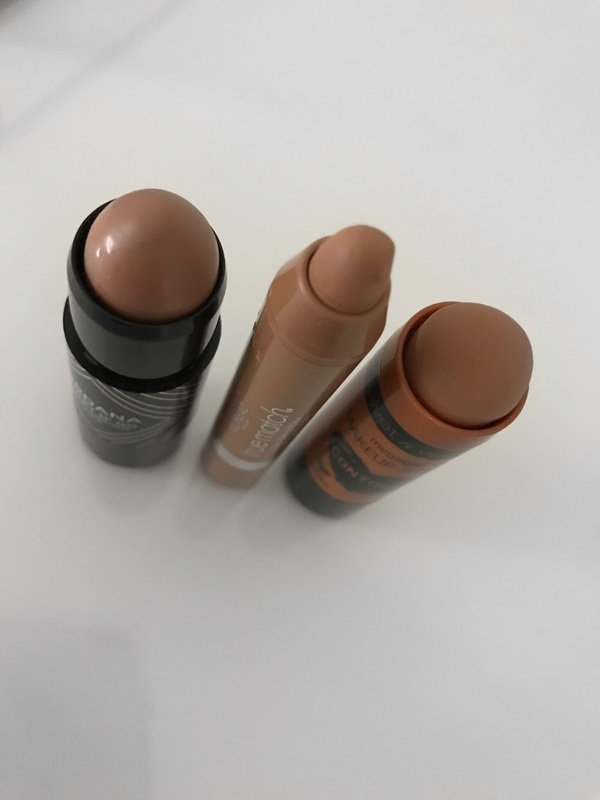 I thought if you were like me and didn't get to snag one up and see if it was worth it or not , I would share some of my favorite contour sticks that are way more affordable and give a very similar outcome ( if not better) ! If you haven't seen my video on how I créme contour, you can watch it HERE. 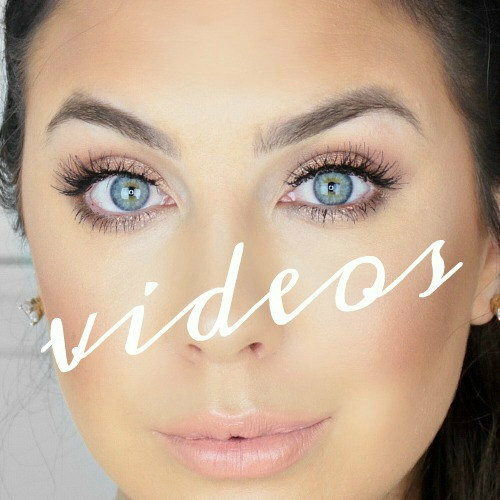 I'm not going to lie, I love luxury makeup but when I find drugstore makeup that performs just the same or better I am not opposed to saving the extra money to put towards my high-end favorites that can't be beat! 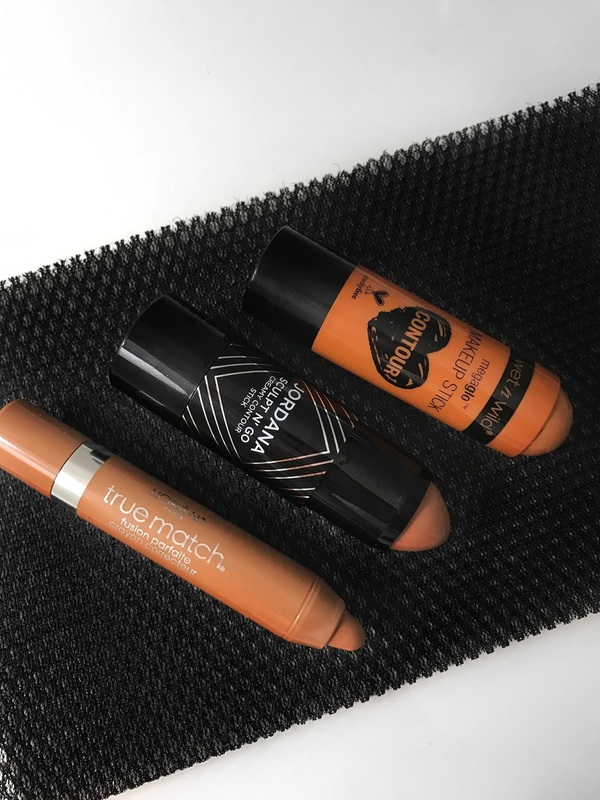 These contour sticks are a few of those drugstore gems. They are ALL under $10 and are creamy , bendable and the perfect shades for that seamless contour! 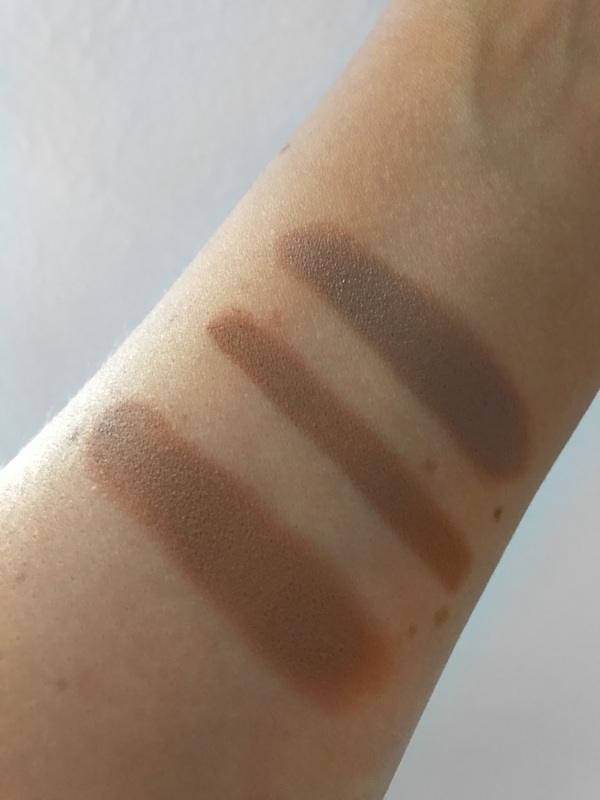 L'Oreal True Match Crayon - Technically this is a concealer BUT I get it about 3 shades darker than my foundation color ( N 6-7-8 ) and use it as a contour stick! 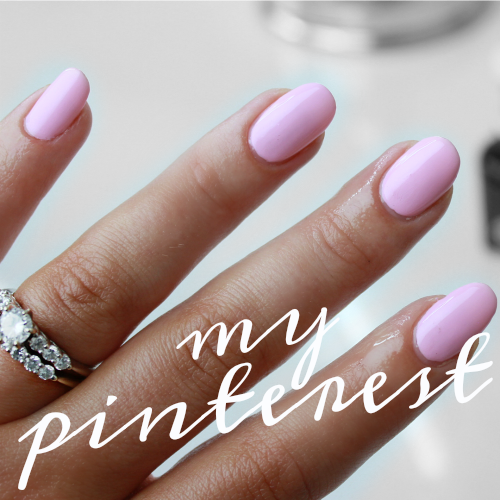 Since it is a concealer, it is super creamy and blends out like a dream! I love using this , because it is smaller, for lip contouring to make my lips look fuller... oh and nose contouring too! 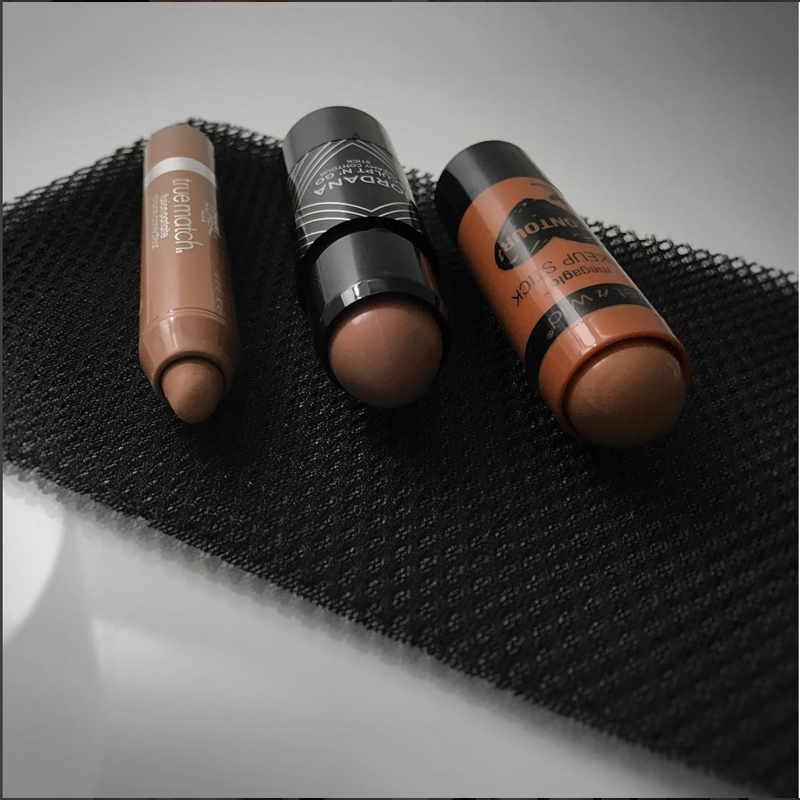 Jordana Sculpt and Go - Great for creating that depth in your bronzing/contouring routine , with just enough cool (tone) to create a natural shaded affect without looking ashy.